At the end of the day, Death visits everyone. Right before that, Charlie does. You might meet him in a hospital, in a war zone, or at the scene of a traffic accident. Then again, you might meet him at the North Pole - he gets everywhere, our Charlie. Would you shake him by the hand, take the gift he offers, or would you pay no attention to the words he says? Sometimes he is sent as a courtesy, sometimes as a warning. He never knows which. Kepler had never meant to die this way--viciously beaten to death by a stinking vagrant in a dark back alley. But when reaching out to the murderer for salvation in those last dying moments, a sudden switch takes place. Instead of dying Kepler has gained the ability to roam from one body to another, to jump into other people's skin and see through their eyes, live their lives, be it for a few minutes, a few months, or a lifetime. Kepler means these host bodies no harm and even comes to cherish them intimately, like lovers. But when one host, Josephine Cebula, is brutally assassinated, Kepler embarks on a mission to seek the truth--and avenge Josephine's death. Great concept, good story but too large of a volume swing on individual sentences. It’s as if the narrator was running out of air. You either miss the softly spoken end of the sentence or if you turn up the volume to hear the whisper you are blasted by other parts of the same sentence. This is not suitable for listing to in a vehicle. I even considered returning it but liked the story enough to suffer through my annoyance at the volume changes. I seem to be in the minority here, but the narration made this one unlistenable for me and I had to get it in print. 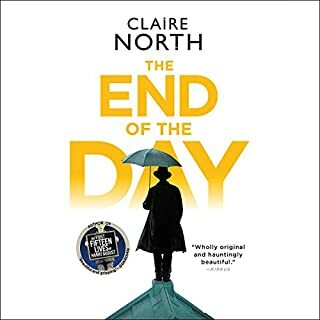 The narrator has this weird thing where he sort of chops sentences apart, saying a couple of syllables with such violence and rigour that it sounds like he's about to jump out of his chair and have a seizure. You could have a sentence that read, "I looked at the sky, and it was blue." This narrator would say, "I LOOKED! !--at the sky!--and it was BLUE!!!." Seriously, I can't take it. Please just settle down! To be fair, this trait of his is not quite as pronounced in this book as it is in some of his earlier works, but after trying to listen to him in Andrzej Sapkowski's Blood of Elves, I now hear it in every sentence he says. It's less severe here than it was in that one, but it is still there, and I can't deal with it. 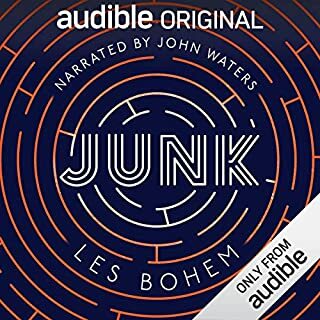 I think this is a good story, but the audiobook is going to have to go back. It's hard to stop a book in the middle. But with such a unique charter is this protagonist I had to make that call. Because of the underlying premise I find it difficult you be come attached to the main charter as well as the antagonist if the story. Clever concept, but ultimately TLDR. 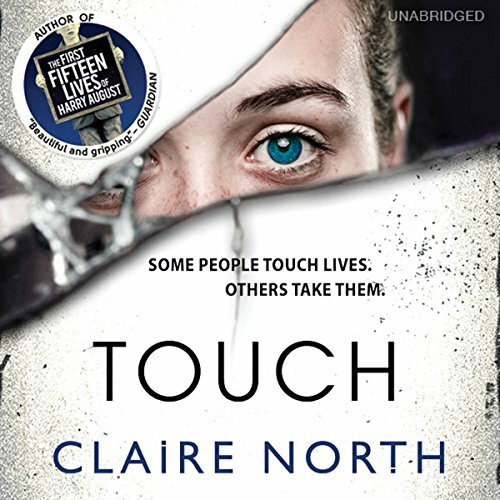 Would you ever listen to anything by Claire North again? Clear diction. He didn't attempt to change voices for male/female, which was probably a good thing. It was waaaay too long; the plot could have been condensed in so many places. Felt like I was watching the same movie sequence over and over. The main character keeps asking, "Who's Galileo?" By the time I started Part 2 of the audio, I didn't really care. Kepler is a ghost, a being who, when he was beaten to death in a filthy alley, with his dying impulse reached out to touch his killer's ankle--and found himself looking down at his own dead body, out of his killer's eyes. That was few centuries back, and Kepler can hop from body to body when ever he needs or wants to. He doesn't intend harm to his hosts, and even comes to cherish them. Then one of his hosts is brutally assassinated. The killer wanted Kepler dead, but killed his host, Josephine Cebula, even after realizing Kepler had jumped. Why? He needs to find the truth, and avenge Josephine. What follows is a terrifying chase across Europe and America. There are other ghosts, some who have been friends of Kepler's, or, arguably, business associates. Others are definitely not friends. At least one is perhaps insane, perhaps just evil, but either way a threat to other ghosts. Because this ghost has committed multiple mass murders over decades, if not longer, an organization of what might be called ordinary humans, determined to wipe out the ghosts. The killer ghost, dubbed Galileo, has its own unknown plans. Kepler tells his story out of order, moving forward from the death of Josephine, while also jumping backwards to earlier formative or relevant experiences. In the end, we know everything that Kepler knows, but we don't know it all in the same order. Sometimes this is challenging to follow. 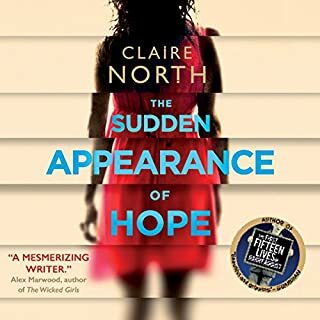 Claire North has a recipe (or so I take it from The First Fifteen Lives of Harry August and The Sudden Appearance of Hope) and I generally like it. She takes a sci-fi premise – a man is born again at the same historical moment life after life or a woman leaves no lasting impression on the people – but that’s only the start. Where lesser writers just dump the premise and run, she explores it, brings out its contradictions, and resolves them. Then, working that exposition throughout the larger plot, she produces an exciting climax where our protagonist, meeting a character of the same nature, has a final showdown determined by the rules of the universe she’s created. As if all that weren’t enough, she draws out a worthwhile philosophical interrogation about the nature of identity. Who are we if we’re born again with the capacity to “improve” on the decisions we made in our first life? How is it possible to fall in love if no one is ultimately like you? And what might it mean for us ordinary humans if there are other types with superior awareness? 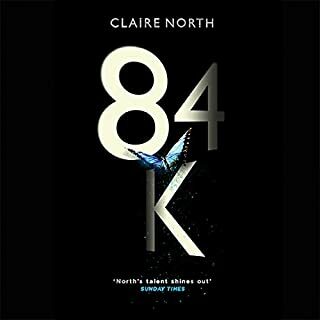 I loved those other two of North’s novels, and I look forward to reading more of her work, but I think this one comes up somewhat short. For starters, the sci-fi premise here is that the central character is a kind of ghost, a spirit who inhabits the bodies of others. He/she can move from person to person by touch. The mechanics of those movements are vintage North. There are some great scenes where our ghost protagonist, Kepler, passes from a body that’s been shot into the body of someone wounded nearby, into the body of the shooter, and then on to safety by a rapid switch of passers-by. It’s a whole new kind of thriller action. As this goes along, though, I think it begins to undermine itself. Because the ghost takes on so many characteristics of his/her host, he is constantly in flux. There’s no stability, no “there there.” By the end of the novel, when Kepler declares him/herself in love with a human who’s gotten pulled into a conflict between Kepler and another ghost, it isn’t clear what that might mean. Kepler has been so many different people, has allowed so many hosts to get killed and hurt as a consequence of his/her actions, that how he/she would experience a sense of a self falling in love never comes clear. It may be that I read this one too slowly and allowed my attention to drift, but I found myself less and less interested in the internal premises of its action. Kepler would be after a character who appeared one way and then after the same character who appeared completely different. I’d get a sense of the particulars of a scene, and then the scene would shift altogether. As a reader, I’d find myself getting caught up in the action, and then it would change so dramatically that, even after I recalibrated which body which ghost was wearing, I couldn’t recover the same interest. It’s as if North, who is investigating the nature of identity, obscures identity so much here that one of her central premises more or less evaporates. I’m still on for more of North’s work, but I think this one – the second she wrote under this pen-name – simply outsmarts itself. Could not get through the narrator. I have no idea if the book was good or not. His voice burned my ears. Sorry. the first 3/4 of the book I really enjoyed. This is the 2nd I've listened to from this writer and narrator. But the story fizzed out, and I had trouble staying interested. I did finish, but the end was confusing. 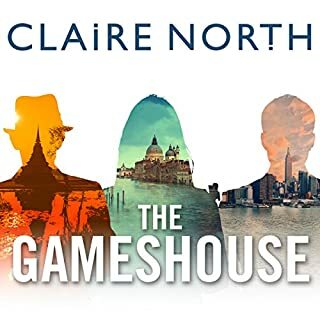 Claire North (aka Catherine Webb) is quickly becoming an author climbing the ranks of my favorites list. She has a unique voice and creates worlds that blend nightmares and wishes into thrilling adventure. In Touch we meet Kepler our protagonist, a being that moves from body-to-body with just a touch of skin. “Have you been losing time?” A few minuets here or an hour there? Kepler is a Ghost, a near-immortal species that moves from body-to-body, taking over life after life. All the while the host body has no idea anything has happened. One minute they are shanking hands with a stranger the next hours, weeks, months, even years have passed and their life is upside-down. Kepler is genderless, ageless, and able to take over the body of anyone. Kepler doesn’t choose bodies for money, or fame like some might. No, instead Kepler prefers bodies that don’t have pains and aches. Kepler takes care of his hosts, always leaving them in a better position then when he found them. But the dead body of Josephine Cebula changes everything. The thing that this book does, maybe unintentionally, is challenge sexuality and gender in a new way. The Ghosts, once probably human, can be any person, gender, race they want. There is also a major theme in the book, LOVE. The love of oneself, love of others. This is a dark and thought provoking novel, and exquisitely written. 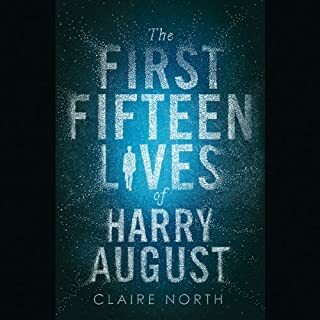 If you are a fan of The First Fifteen Lives of Harry August (and if you’ve not read that, please jump on it) then you’ll enjoy this book as well. It’s a thrilling and unexpected journey with no limits on time or the human race. With a great deal more editing and a less affected reader, there might have been something there. But it was clearly rushed to market based on the success of last book.